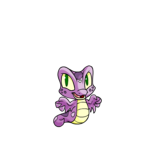 With Christmas just around the corner, it is easy to stress about what to feed your neopets. With all of the amazing gifts you are sure to buy them, you may not have many neopoints to spare, so it needs to be inexpensive. Also, you would not want to disappoint them with mediocre food. So, what to buy? Here are my top five favorite dinners, drinks, and desserts! Coming in at number five, we have the classic, Mashed Potato With Gravy! Spotted at as little as 50 neopoints per bowl, this delicious holiday food will sit well in your pets’ stomachs and in your wallet. Gravy drizzles over hearty potatoes in the perfect balance, so even the picky eaters should enjoy. A pocketful of goodness is coming at you for number three. While this meal is a little pricey at around 1,100 neopoints, this dinner is perfection. It has an entire meal in a clean, easy to eat package. Featuring the seasonal delights of cranberry and turkey, this is sure to impress! A delicate mesh of sweet, sour, and turkey. Slurp as loudly as you want while eating this delicious soup featured at number two. With a reasonable price tag of 1,500 neopoints, this dish is a new twist on an old favorite, baked yams or yam casserole. Now in a bowl for easy eating, you get hearty yams and light marshmallows in every bite. Huddle next to a warm fire with this soup on a cold winter night, and this soup will help warm your heart. Number one brings a treat for those who are vegetarian. Costing around 1,999 neopoints, this dinner features an up and coming holiday star, tofurky. Tofurky is a delightful creation that resembles a turkey, but is really made of tofu. So, eat your heart out veggie lovers, no animals were used in the making of this meal! As an added bonus, it comes with a nice assortment of freshly steamed vegetables and specialty cranberry sauce. Next, we have drinks. A meal isn’t complete without a holiday drink specially designed to compliment holiday food. You can’t go wrong with these classic and unique flavors. Sliding in at number five is the ever delicious Small Neggnog Smoothie! For as little as 290 neopoints, a Small Neggnog Smoothie is definitely in your budget. Neggnog is a beloved holiday drink, and even better in smoothie form! Grab one soon, before they are all sipped up! Also available as a Mega Neggnog Smoothie for a whopping 12,000 neopoints! Another holiday themed smoothie is present and accounted for at number four. This aromatic drink is only 1,000 neopoints! Your taste buds will sing Christmas carols for days after partaking in this indulgence. Also available as a Mega Apple Cinnamon Smoothie for only 5,500 neopoints. At number three we have yet another mouthwatering smoothie. For an average of 1,200 neopoints, you and your pets can enjoy a wonderful taste sensation that compliments any meal or other dessert you pair it with. Also available as a Mega Orange Clove Smoothie for a small price of 3,000 neopoints. Our last scrumptious holiday smoothie has our number four spot. If you are lucky, you can pick one of these up for only 1,250 neopoints! Reminiscent of sitting by a warm fireplace, this drink is sure to help you create a memorable Christmas. Also available as a Mega Roasted Chestnut Smoothie for as little as 5,000 neopoints. Number one will help you and your loved ones celebrate winter weather. For as few as 1,700 neopoints, anyone can try snow. And, you don’t have to worry about staying away from the nasty yellow snow! With a light flavor and a light calorie count of zero, nobody will have their mouth or their diet overpowered by this drink. Lastly, we have dessert. Even more important than the dinner is the dessert. Christmastime will set your pet's sweet tooth off, so make sure to have some of these tasty treats on hand. While it may seem strange, number five is actually quite delicious. 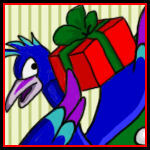 For around 250 neopoints, your pets can taste the holidays. A slice of Peppermint Pizza may be exactly what your pets want to munch on this holiday season, especially since it is so unique, they may have never tried it before! A timeless treat is here for number four. For a meager 600 neopoints, you too can own one of these delectable Homemade Gingerbread Houses. Laden with candy, gingerbread, and frosting, this yummy baked good can also be a holiday decoration. A peppermint delight is on display for choice number three. A timeless holiday treat, for only 625 neopoints. This pleasure is long lasting and fun. You could use it as a walking cane or even a pirate hook! Let your pets' imaginations soar with this lovely dessert. If you are looking for something beautiful, look no further than pick number two. Artistic and delicious, this treat has a price tag of merely 1,450 neopoints. Depicting a lovely poinsettia flower, this cookie can help anyone can find delight. Holding the number one spot, we have the Chocolate Tree Decoration! If you are willing to fork over the 3,000 neopoints needed to purchase this item, you will not be disappointed. You can eat it, you can hang it on your tree, or, you could do both! The holiday season is a time of family, friends, and food. With the handy suggestions you have learned from this guide, you can wow anyone and stay in your budget. Plus, many double as convenience foods, decorations, or toys. So, Happy Holidays from 12_ilovesoftball_12!